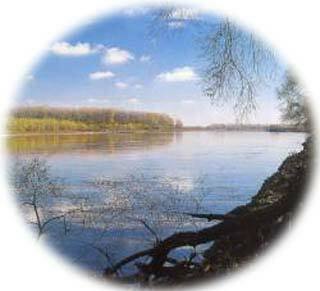 In 1804, Lewis & Clark took five days to traverse the part of the Missouri River that lies just north of Crofton. In 1846, overland travelers, the Mormons, wintered near Crofton along the Niobrara River. Originally called County of L'eau-qui-court, meaning "running water" in French, the county name was changed to Knox in 1873 after Major General Henry Knox. The town of Crofton was laid out in the summer of 1892, the name being drawn from a hat that honored Crofton Courts in England. It was submitted by Mr. J. T. M. Pearce, a former resident of that community. Crofton, Nebraska had its beginning when the vote favored Crofton. Still relying on a strong agriculture and small business base, Crofton is home to 925 of the friendliest people in the state. Hometown spirit, beautiful scenery, excellent hunting grounds and close proximity to the Missouri River and Lewis & Clark Lake recreation areas provide activities for everyone. Today the Crofton area provides outdoor enthusiasts a plethora of recreational activities. The Argo Hotel, listed on the National Register of Historic Places, was constructed in 1912. It is significant for its association with the building boom of second generation hotels that was occurring on Nebraska's statewide basis during the first quarter of the twentieth century. Lakeview Golf Course overlooks beautiful Lewis & Clark Lake at Gavin's Point Dam on the Nebraska side. This course was built in 1987. The fairways are narrow and sloped with trees on either one side or another. The eighth hole is a blind shot and the light system lets you know by a "green"